Welcome to KLOO and CONGRATULATIONS on becoming part of a community of people that want to learn or teach a language in the smartest, most fun way. If you are a beginner then this is a great place to start. If you’ve tried learning a language before and struggled – we can help. If you already know some language but want to brush up and have some fun – PERFECT! At KLOO, we believe (in fact know) that everyone has the skills to learn a language. We’re going to show you techniques that will make it seem like a stroll in the park! Up to 10 times FASTER! 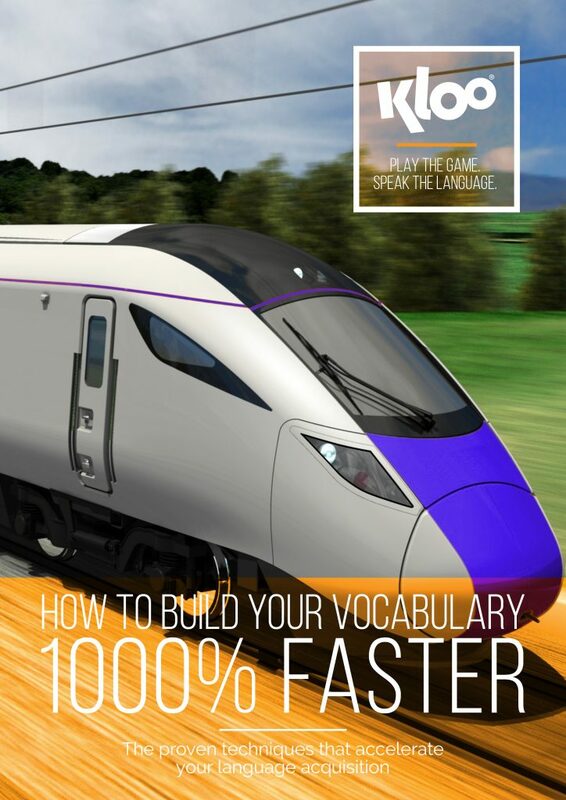 Find your free E-Book below with tips of How to Build Vocabulary 1000% FASTER. This booklet will save you time and money as you focus on the techniques that are proven to work best.